Welcome to Laguna Beach Real Estate. Laguna Beach has always been known for it's beautiful scenery and landscaping with blue water ocean views and sandy beaches. If you are new to Laguna Beach then you will love exploring the many great neighborhoods and ocean view homes within Laguna Beach. This piece of paradise does not come cheap as real estate in Laguna Beach is well above neighboring beach towns here in Orange County. You will find our Laguna Beach Real Estate website to be the most useful real estate website in the area, with advanced search technologies that allow you to view listings in the MLS. We also specialize in Laguna Beach Short Sales. We represent Laguna Beach homeowners in helping them short sale their homes and have dedicated Laguna Beach short sale agents. More and more sellers are looking to short sale their home due to the downturn in the real estate market. If you have been thinking about short selling your home please contact us today with any questions you might have about the short sale process. If you have equity in your home and don't need to short sale your home we can help with that too. Our marketing services are second to none and will result in helping you get top dollar for your home. We provide Brand New Laguna Beach Listings to come on the market in Laguna Beach. Below you will find the latest Laguna Beach homes for sale in the last 7 Days. A special notation has also been made for Laguna Beach Short Sale homes as these listings always tend to sell very quickly. Please contact us with any questions regarding Laguna Beach Real Estate. We keep you updated daily with new Laguna Beach homes for sale! 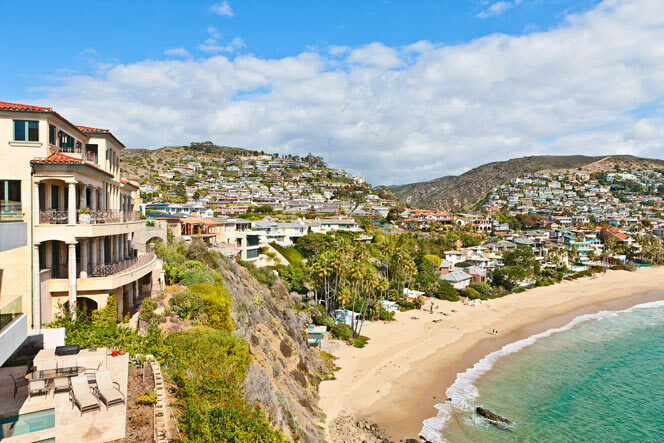 For additional information on the Laguna Beach Real Estate market please contact any of our Laguna Beach Real Estate agents today at 949-355-1622 for detailed information on Laguna Beach Homes For Sale.